The port commission approved a 25-year lease with International Container Terminal Services Inc., a Philippines-based international port management company operating 18 terminals in 13 countries. The company is the fourth largest container terminal operator in the world. The lease gives ICTSI oversight of the operations and marketing aspects of the 192-acre container and break-bulk facility at Terminal 6. The port will receive $2 million upon signing the lease and an additional $8 million when the lease closes in 90 days. The $8 million will go toward the future consideration of ICTSI purchasing operating equipment from the port. ICTSI will pay the port $4.5 million annually in rent, subject to consumer price index increases. ICTSI will also pay the port additional incremental revenue per container moved once the company hits a benchmark. 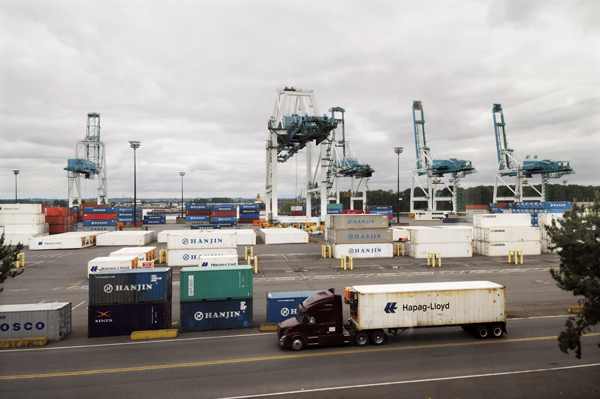 The port currently handles about 250,000 "twenty-foot equivalent units," or TEUs, a year. ICTSI would pay the port more if the company goes beyond a 400,000 TEU threshold. TEU is a standard for measuring containers. Marcelo Suarez, ICTSI senior vice president, said the company hopes to double the current TEU rate within five years. While the commission voted unanimously to approve the lease, there was some objection from representatives of Ports America, the company that currently oversees terminal management services at the port. Don Wylie, director of trade and maritime services for Ports America, said that his company was treated unfairly throughout the process by not being allowed to participate in the dialog of this lease despite numerous requests to do so. He asked the commission how they knew that this deal was the best one out there. In the end, the port commission felt the deal was a good fit for the port. Staff estimated that the deal had a positive net present value of $68 million, using conservative 3 percent growth predictions. They also noted the deal had a stipulation that ICTSI cannot operate any other terminals along the West Coast. This lease will mark ICTSIs first venture into the U.S. The lease is pending until the deal can be approved by the Committee of Foreign Investments and the Federal Maritime Commission. The lease will also go through a federal agency review. Barring any setbacks, ICTSI would take over operations of Terminal 6 in February of 2011.